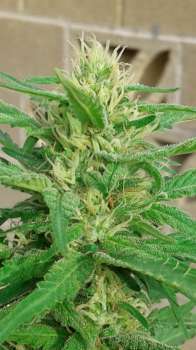 Here you can find a strain description about Medi Griega and also some user-based reviews and infos directly from the SeedFinder (if available). You can also find the offers and auctions here if Medi Griega cannabis seeds are on stock at MyCannapot right now. Medi Griega ( Y Griega x Medi Blue-n-Blond ) Mostly Light Green… But, some purple pheno are possible Arid desert - Low humidity this plant is happy. Intense dank smell Flavor: Fruity, Hash Growing Difficulty: Easy Grow: Outdoor-Indoor Flowering: 70 days + Medical Uses: Mild Joint Pain, PTSD and OCD after prolong use. Medi Griega is not available at our shop at the moment!